In the last post, I promised some photos from my trip to the ‘Cave of the Roaring’ back in November 2014 for Project Scent (PI- Rebecca Bartlett, Birmingham). 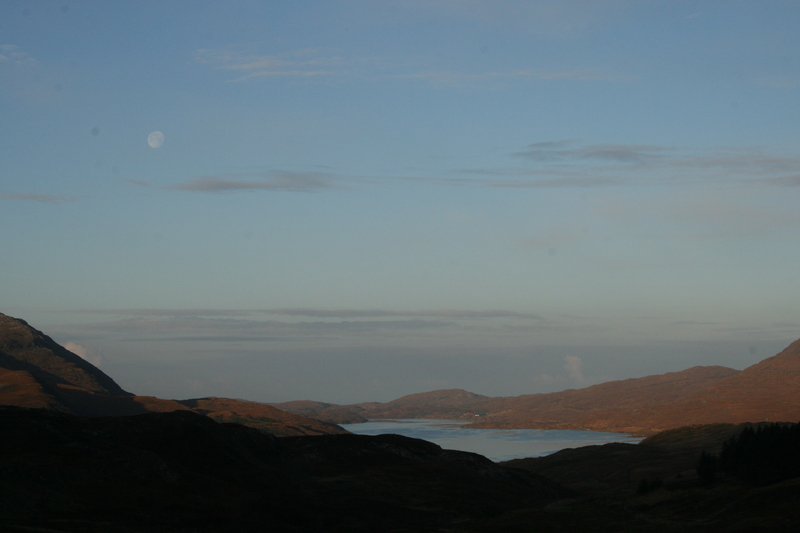 Clement Bourdin and I flew to Inverness on the morning of Friday 7th November, driving on to Loch Assynt, via Ullapool. Arriving late in the day we hiked to the cave in the last of the light. The cave was barely visible, which made the sound of the steam in the cave entrance all the more impressive. Cave of the roaring, entrance. To access the cave the stream must be forged. 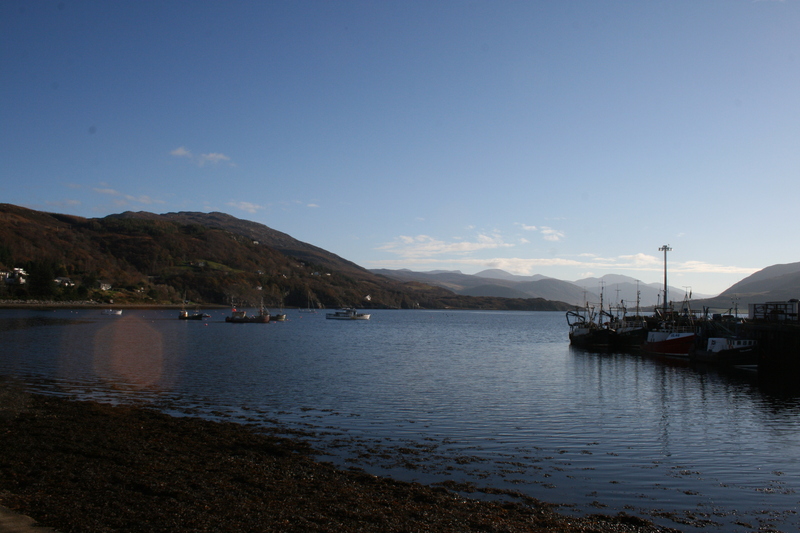 Uamh an Tartair is a fairly small cave developed along a thrust plane in the grey dolimitic (Cambrian) limestone. 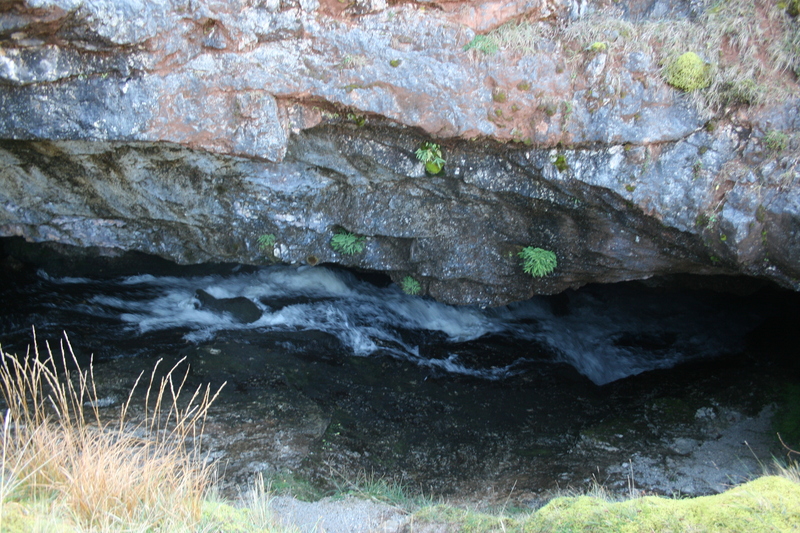 An impressive amount of water passes through here, making for a wet entrance to the cave proper. CB surveys the forest of stalactites. SU-97-7 sampled from near to here. 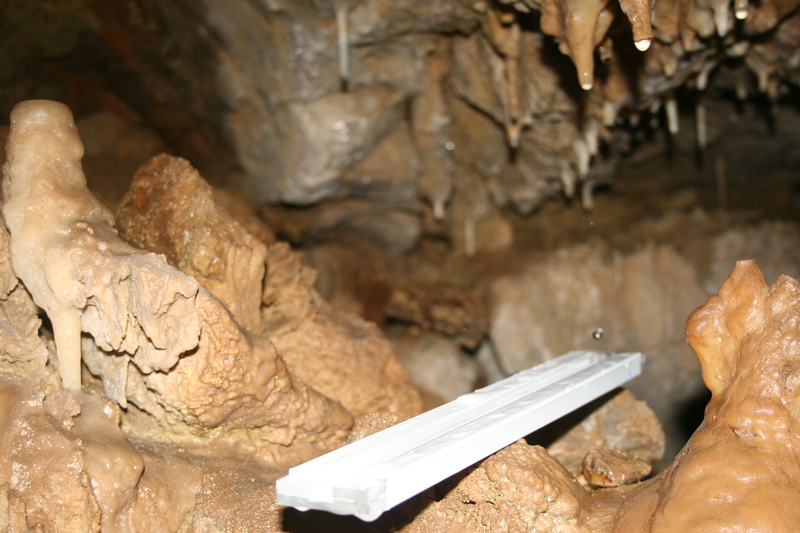 That first night we found our way around the cave and left drip water samplers and bottles for collection on the Sunday. The channel probes were deployed to measure the rate constants of metal-ligand dissociation- translation: “to work out which elements are carried by organic matter from the overlying peat bog so that we can use them as recorders of changes in the peat”. This whole project is about the effect of changing climate and/or pollution affects the way soils store carbon. 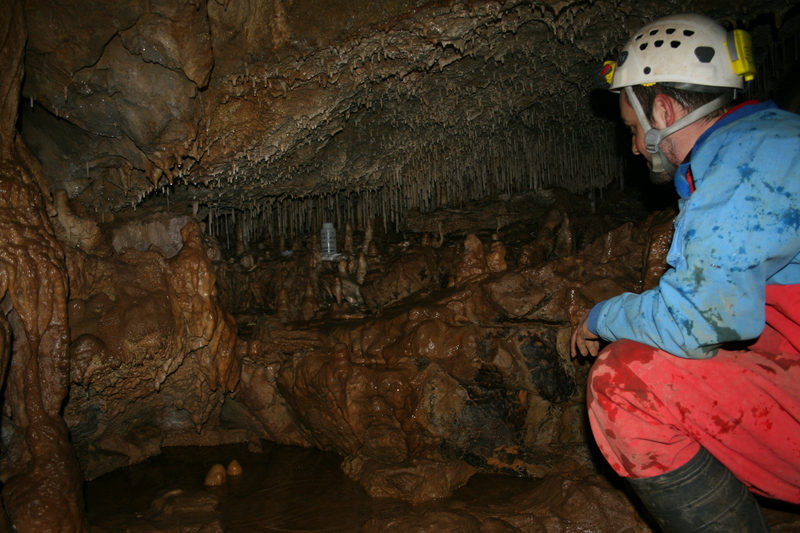 The cave is accessed via a well worn track. 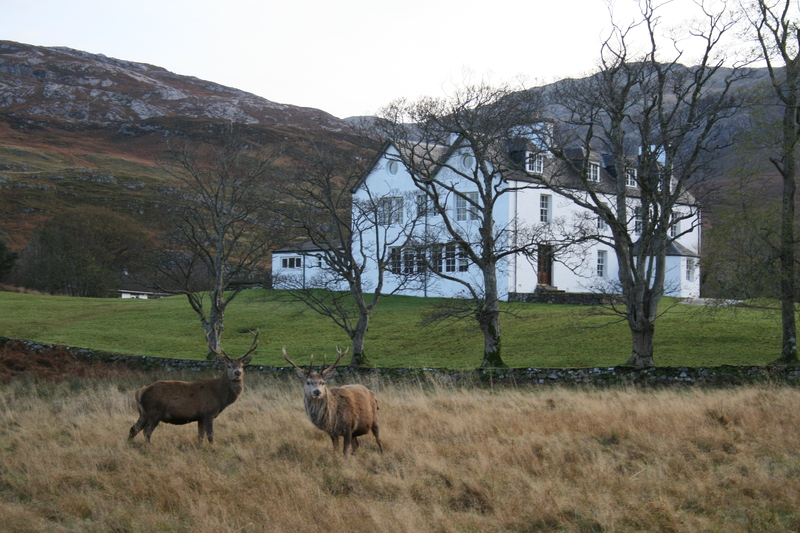 We left the car at the road head and hiked for around an hour to the cave with lots of deer looking on. 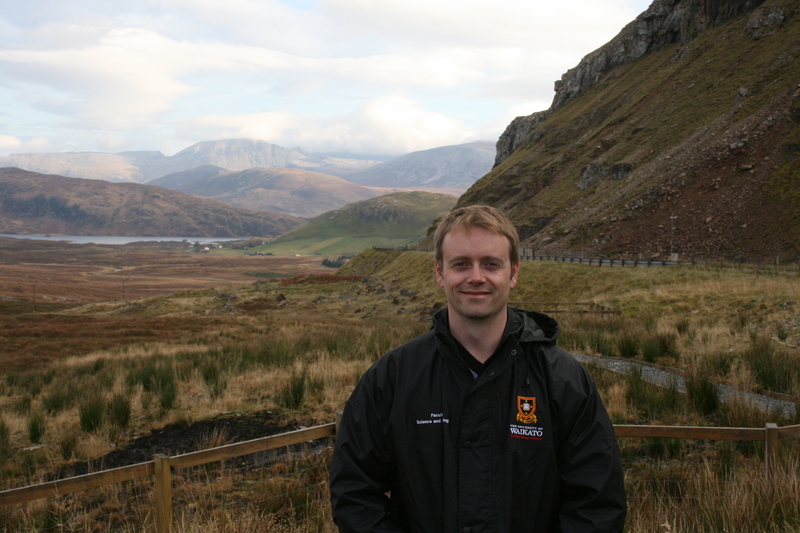 The weather was really kind to us for the whole trip and we got some fantastic views of the rust-coloured hills. Hope you like the pictures. Ardvreck Castle. 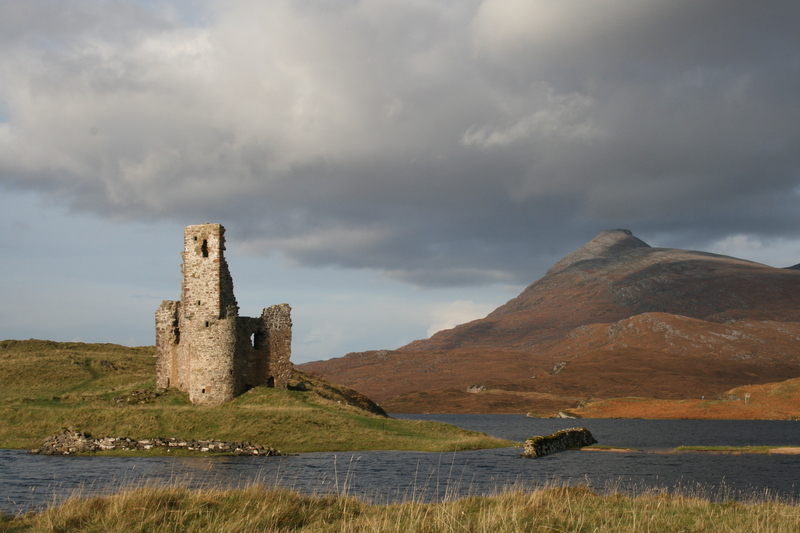 15th Century seat of the MacLeods of Assynt.